This video and instructions shows See the techniques we use in joining our standard wood frames. Our wedge system which requires no special tools and because it is joined from behind, no holes will be visible from the side. When miters are glued up they tend to open at the tips because end grain has been cut on the diagonal. 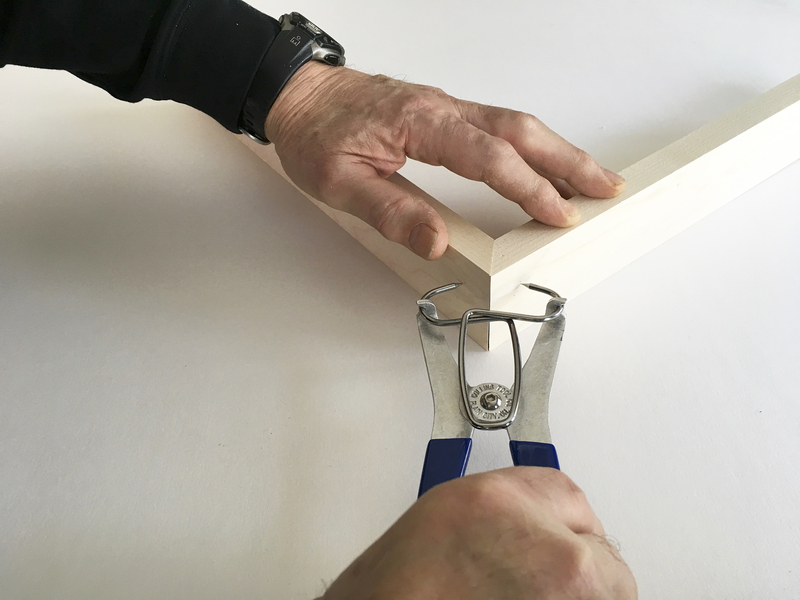 These little spring miter clamps are perfect for keeping the pressure on while gluing miters, and when the glue is dry the tips will still be together. When handling and exhibiting picture frames they can get nicked & scratched. 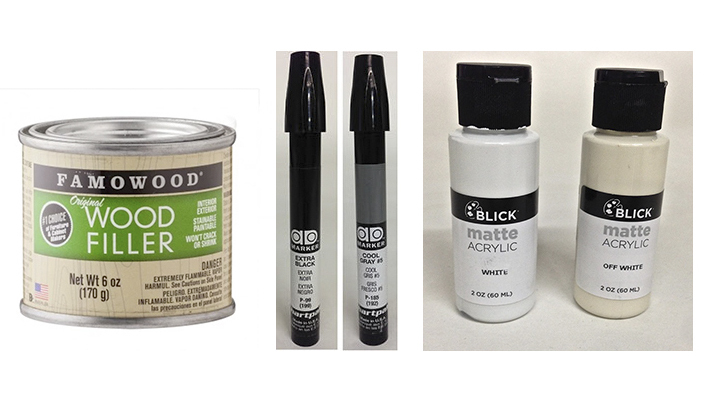 Touch up material such as wood filler, magic markers, & acrylic paint can be used to repair them.